For many local businesses, breaking into the world of government procurement contracts can seem daunting. But with a little help from the Thurston Economic Development Council’s PTAC team, you could soon find your goods and services sold throughout schools, cities, tribes, ports and military bases. PTACs, Procurement Technical Assistance Centers, exist nationwide. But in Washington State, their main support office is co-located with the Thurston EDC and Lacey branch of South Puget Sound Community College in the Center for Business & Innovation at 4220 6th Avenue SE. But more than walking you through government red tape, PTAC staff help with bid reviews, contract language, and more. To determine if your business is up for the procurement challenges government entities offer, Hoy encourages business owners to attend one of their free monthly classes. The last Friday of each month is a class for novices wondering what all is involved in selling to government Laying the Groundwork can help you decide if it’s a good direction for your company. The second Friday class, Marketing to Government Agencies, is a more hands-on approach to marketing, available opportunities, and required network protocols. 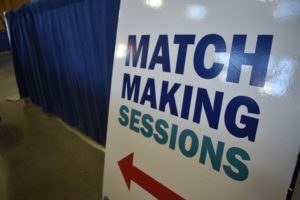 Can’t make a meeting? Watch available webinars from home or on the road. 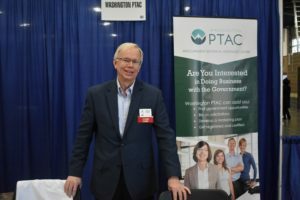 In the last few years, PTAC helped Washington businesses land contracts worth a whopping $1 billion. If you’ve wondered about the process, let Hoy and her fellow PTAC staff help. If you’re not quite ready but would like to get there, the vast resources of the Thurston EDC and Center for Business & Innovation are on-site, at your disposal. 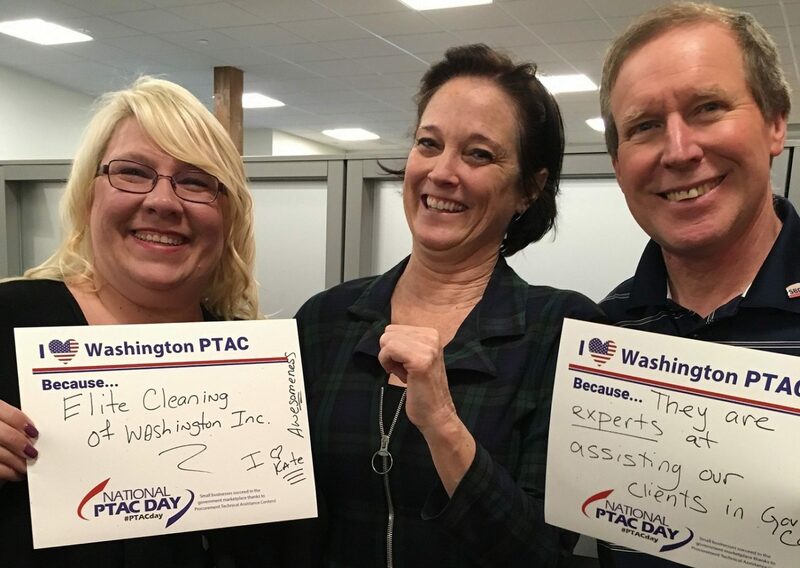 Contact PTAC online, by calling 360-464-6043, or by emailing info@washingtonptac.org.